"Walk in on your own feet" to this new Interpol song. 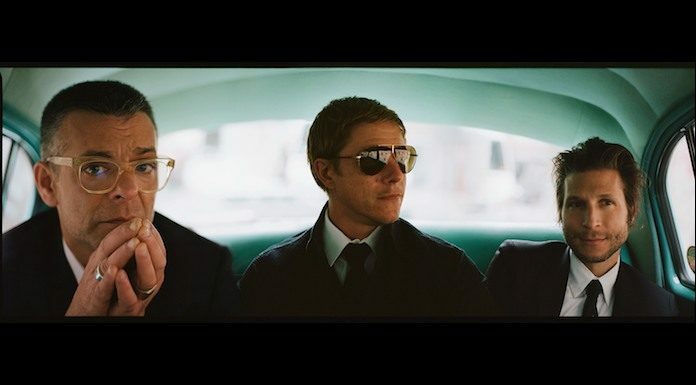 Interpol have announced a new album, Marauder, out Aug. 24 via Matador, and shared first single “The Rover.” Hear it below. Marauder is the NYC indie rockers’ sixth full-length, and it’s the band’s first LP since 2014’s El Pintor. The group revealed the new album on Thursday during a live-streamed press conference from Mexico City, which can be replayed here. As reported by Pitchfork, the new album features production from Dave Fridmann (of Flaming Lips and Mercury Rev fame), making it the first time the band have worked with an outside producer since 2007’s Our Love To Admire. Interpol recently wrapped up a string of 15th anniversary shows in celebration of their landmark debut, Turn On The Bright Lights. As for the upcoming Marauder, singer/guitarist Paul Banks frames its content as an investigation of the self. Pre-order Marauder here and get “The Rover” here.